Sentient houses in fiction and film. We’ve seen the movies, read the books, toured the spooky attractions. This we know: haunted houses are dangerous places. They’re built on evil ground, or on sites where bad things happened, or above the graves of people who don’t want company. Bad sorts once occupied them, or bad things happened to decent people who had the misfortune to enter and the poor judgment to stay — and now their spirits or reanimated corpses wander about, moping and moaning and causing no end of trouble for the living. Echoes of an unsavory past collide with the present, old wounds bleed anew. Malevolent forces seep into built spaces like gas from a ruptured line, poisoning the lives of otherwise happy families or oversexed and under-supervised teenagers. These are the prices we pay sometimes for shelter, for living in a world with a history that precedes us. But let’s be honest: hauntings are a dime a dozen. There are places in this world where a person can hardly sit down without landing in the lap of someone’s spectral uncle. So it’s unsurprising that there exists an organization like the Haunted House Association, “dedicated to helping promote, advance, and educate the World about the Haunted House and the Halloween Industry”; accordingly, the HHA website is teeming with links to related organizations, attractions and events, including “haunted tradeshows” with names like “Hauntcon” and “Monsterpalooza.” It’s not just houses either. Hotels, jails, cemeteries, hospitals, theaters, saloons, schools, lighthouses: all variety of building types now claim to possess — or be possessed by — in-house spirits. A website called The Shadowlands offers exhaustive state-by-state lists of haunted places. 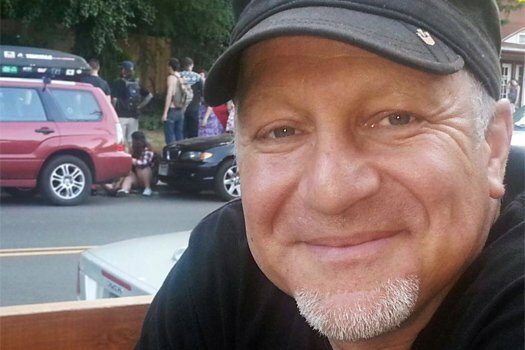 For Eugene, Oregon, where I now live, the list includes our local Toys R Us and Kmart outlets. (The faint of heart might also want to steer clear of the Dollar Store in nearby Hermiston.) They’re promisingly advertised, these spirits. They are sometimes the unreliable but much anticipated guest stars of popular tours and television shows, and in some places they’ve become amenities almost, like wi-fi or a workout room. I once stayed at the 1886 Crescent Hotel in Eureka Springs, Arkansas, partly because it bills itself as “America’s Most Haunted Hotel,” and it offers visitors a full menu of spirits both human and feline. I will admit to being disappointed there by an unhaunted and unremarkable night’s sleep. But that’s not what I want to talk about here. Sometimes buildings are born bad. There is within American literature and cinema a subgenre of horror focused on buildings, buildings that are themselves the sources of evil, without ghosts or ghouls, but which, through some flaw of design — some peculiar arrangement of space and mass, some technology gone awry 1 — manifest a malign awareness that targets occupants. It’s an old thread. The gloomy gothic pile in Edgar Allen Poe’s “The Fall of the House of Usher” (1839) draws on still earlier models, notably Horace Walpole’s Castle of Otranto (1764). But where Walpole’s building is a setting, Poe’s is an actor. Behind its “vacant eye-like windows” is an “atmosphere which had no affinity with the air of heaven” and a condition of “sentience” fulfilled, says Roderick Usher, “in the method of collocation of [the building’s] stones — in the order of their arrangement.” The result is “that silent, yet importunate and terrible influence which for centuries had moulded the destinies of his family.” 2 Masonry is destiny, and poor Roderick never had a chance. In the end, he and the house go down together. As a sort of model (haunted) home, Poe’s “mansion of gloom” launched several sprawling subdivisions’ worth of dismal, dangerous literary abodes. The vast majority of these have been witless, ghost-ridden domiciles, not properly sentient houses. Yet sentience remains a feature of the literary landscape. Take, for example, the Victorian-era house at 362 Belisle Street, the building that stands at the center of Susie Maloney’s 2003 novel The Dwelling. According to the cover blurb, “Three families buy 362 Belisle, but no one stays there for long. For this dream house has a mind and a heart of its own.” Here the incestuous Usher is switched out for a bulimic realtor named Glenn, but otherwise, this is terrain that Poe would recognize. Through some flaw of design, these buildings manifest a malign awareness that targets their occupants. Architectural sentience is at the core of one of the most lauded works of horror fiction ever published, Shirley Jackson’s 1959 The Haunting of Hill House. The novel’s famous opening lines speak to its antagonist’s diseased awareness: “No live organism can continue for long to exist sanely under conditions of absolute reality; even larks and katydids are supposed, by some, to dream. Hill House, not sane, stood by itself against its hills, holding darkness within.” 3 The tale involves four people — Dr. Montague, an anthropologist interested in “supernatural manifestations”; Eleanor, a psychically gifted, psychologically disturbed 32 year-old woman; Theodora, an artsy bohemian of uncertain clairvoyance and undoubted impulsiveness; and Luke, the shifty young heir of Hill House — who come together “to observe and explore [scientifically] the various unsavory stories which had been circulated about the house for most of its eighty years of existence.” 4 Scholars and critics have long debated the book’s meaning and the specific nature of its haunting. 5 When blood red messages appear on Hill House’s walls and fists pound at its doors, are these the ghosts of any of the several people who’ve died there over the years, or does the house itself conjure these effects? Is the building’s purported sentience actual, or is it instead a powerful projection of the morbidly sensitive Eleanor? Jackson immerses readers in the possibility of the paranormal but she also keeps it at bay; she never reveals definitively the source of the haunting, she never shows the face of the monster. Is the haunting even real? Is it imagined? Metaphorical? Jackson is obliquely suggestive rather than explicit on these points. Yet on one key issue there is little doubt. When, seventy pages into the narrative, Dr. Montague wonders if the building’s “personality” was shaped by the people who lived there or if it was bad from the start, the reader already knows the answer. 6 Eighty years of trauma and terror cannot have helped, but from the outset, clearly, this was architecture gone terribly wrong. Hill House is one very badly designed building. 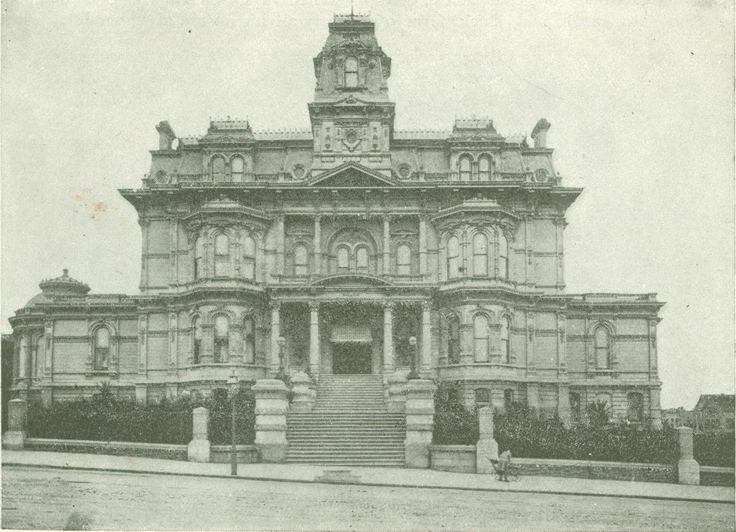 Great-granddaughter of Samuel Jackson Bugbee — who, along with his sons, designed several prominent Bay Area buildings, including creepy-looking Nob Hill mansions for Charles Crocker and Leland Stanford, and Mills Hall at what is now Mills College in Oakland — Jackson wrote often and intelligently about built spaces and their effects. Among her papers at the Library of Congress are sketches and plans she made of her fictional buildings, including Hill House, which she used as aids for plot development. 7 Having visualized it for herself, Jackson enumerates Hill House’s design flaws for the reader. Just who might be responsible for all this misdirection is less clear. A character named Hugh Crain — who built Hill House for his family, hoping, we are told, that it “might become a showplace, like the Winchester House in California” — was its designer. “He was a strange man,” says Dr. Montague, unnecessarily, since strangeness is a precondition for wanting to install one’s family in a place like the Winchester Mystery House. “Crain must have detested other people and their sensible squared-away houses, because he made his house to suit his mind…. Every angle is slightly wrong.” 9 So Crain’s mind was off: hateful, distorted mind designs hateful, distorted house. But this is pure conjecture on Montague’s part. Like Roderick Usher, born into an ancient and doomed house, Hugh Crain, though building his house anew, might well have been equally doomed, destined to erect a bad house whatever his intentions. Jackson implies as much. The reasons go unspecified — something in the ground, the materials, the atmosphere or time of year? — but the house, it seems, all but built itself and determined its own evil nature, independent of human intent or action. (How many architects and contractors, saddled with charges of malpractice, might wish recourse to such a defense?) More than once, Eleanor senses the builders’ resignation to the building’s incipient will. 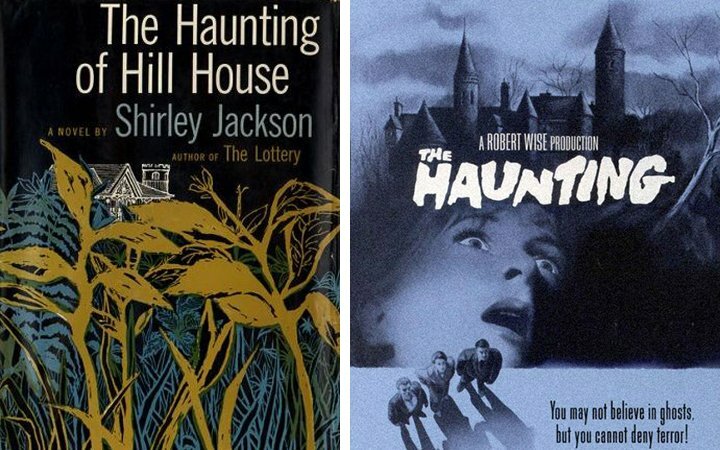 The Haunting of Hill House was twice brought to the screen as The Haunting — successfully in 1963, less so in 1999. The heavy-handed, special effects-driven version of 1999, directed by Jan de Bont and produced by Steven Spielberg, strays far from the novel. Noisy and cluttered with CGI ghosts, it leaves little to the imagination. The 1963 version, directed by Robert Wise (better known for his Oscar-winning work on The Sound of Music and West Side Story) is faithful to the book, subdued and suggestive, atmospheric and genuinely chilling. I mention it here because, unlike the book, it gives us a concrete visual image of Hill House. The film begins with the house, shot through distorting wide-angle lenses on infrared film. The building is a Neo-Gothic agglomeration of square and round towers, arched openings, stone walls and gable ends, chimneys and finials thrusting and clawing at the mottled, low-hanging sky. It looms and sprawls. Its doors and windows are black voids but its stones glow with a cold surface light. The building leans in on itself, as if drawn by the vacuum of its empty center. Driving up to Hill House, Eleanor slams her breaks and stares when it first comes into view. “The house was vile. She shivered and thought, the words coming freely into her mind, Hill House is vile, it is diseased; get away from here at once.” She stays, of course, as one does. When Americans portray haunted houses, they usually look something like Hill House — old, dark, full of turrets and dead-eyed windows, rambling and eerily picturesque. It’s hard to imagine the cinematic Hill House — in actuality, an ancient English manor rebuilt in the mid-19th century 11 — having ever looked new or welcoming. There are several elements that may combine to make a house such as this seem ominous: great age, or the appearance of antiquity, even if false; a sinister or shadowy history; complex and/or vaguely anthropomorphic forms (Poe’s “eye-like windows”); and the associations, many of them rooted in Modernist taste and polemic, that still color our views of Victorian culture. 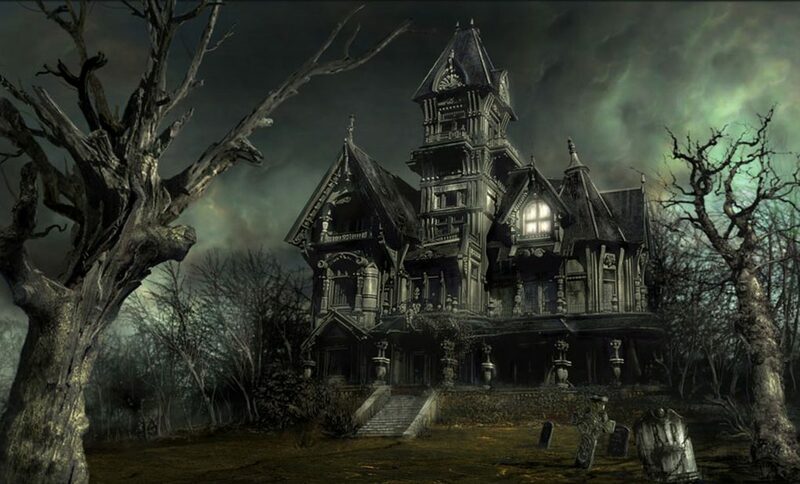 12 Another basic fact about haunted houses is that they are usually large and multi-storied. They are impossible to view in their entirety from any one point. They contain numerous rooms and passages, including some that are hidden or forgotten or closed off altogether. 13 Their chambers are furnished in faded baronial splendor, with heavy, carved wood furniture, dark velvet drapes, and the occasional suit of armor. No human eye can isolate the unhappy coincidence of line and place which suggest evil in the face of a house. Haunted houses of the Hill House sort are houses built for the rich, and as Balzac said, “the secret of great fortunes … is a crime forgotten.” Commentators have often noted that haunted house stories appeal to us by subverting our ideals of domestic tranquility and security; they are modern versions of the romantic sublime, where we watch in safety while terrible, thrilling things happen close by. They also support American myths of egalitarianism, our conjoined attraction and aversion to aristocracy and wealth, our envy of the rich and our suspicions about how their gains were got. 14 The lavish Victorian Gothic, Queen Anne and Second Empire haunts of popular fiction and film present the Janus face of the Gilded Age, whose ruthless corruption and relentless capitalism were excoriated by Mark Twin, Mother Jones, Upton Sinclair and other progressives. They closet the skeletons upon which great fortunes were built and reassure us that crime, though it sometimes pays very well, comes with long, nasty strings attached. 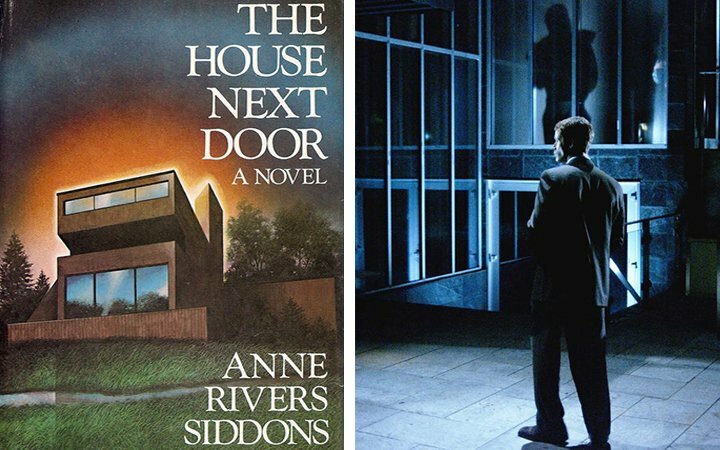 Anne Rivers Siddons opens such a closet in her 1978 novel, The House Next Door. The building at the center of her story, however, is not some dark, dank, old manse with murky origins and a troubled history. It is a modern, open-planned, glass-walled, light-filled structure whose designer is still very much on the scene: Kim Dougherty, the neighbors gossip as the novel begins, is “some hotshot right out of one of those eastern architecture schools; he’s out to put us all in House Beautiful.” We first see the house in plans — it’s not just not old, it hasn’t even been built yet — through the eyes of the book’s narrator, Colquitt Kennedy, who lives next door to the building site with her husband Walter. Left: Paperback edition of Anne River Siddons, The House Next Door, published in 1978. Right: Still from the 2006 Lifetime movie of The House Next Door, showing architect Kim Dougherty standing before his creation. Exactly. We expect our haunted houses to be hoary, dusty and timeworn, full of shadows and memories. Siddons’s house is new, a modern house, full of light, void of memory. In The Architectural Uncanny, Anthony Vidler describes how modern architects, “formed by futurism,” sought to eradicate traces of the past from their work. Old houses were to prone to manifestations of the uncanny, or unhomely — that unhealthy and “fundamental propensity of the familiar to turn on its owners, suddenly to become defamiliarized, derealized, as if in a dream.” To avoid this, Modernists cleaned house. They built glass walls to deny the shadows. They filled their buildings with light and good intentions. They removed the cellars, the attics, the bric-a-brac, “the weight of tradition and the imbrications of generations of family drama.” The program backfired, however. Erasure of the past only created more ghosts — “the nostalgic shadows of all the houses now condemned.” 17 The skeletal modern houses that replaced them were themselves ghostly — schematics evoking past houses, uninhabitable in the minds of many, rootless, reflective, vulnerable. It looks like it’s growing right up out of the ground, doesn’t it? It looks like it’s alive. Fair enough. The end. Except it’s not. In the epilogue, we read of a young couple set on building their dream house, drawn from the plans of a talented young architect who recently died, tragically. “Just look at it,” the young woman merrily tells her dinner guests, her voice full of wonder. “It looks like it’s growing right up out of the ground, doesn’t it? It looks like it’s alive.” 20 “Organic architecture must come from the ground up into the light by gradual growth.” 21 So said Frank Lloyd Wright, though none of his buildings ever murdered a client. A building may be like an organism, but it isn’t, not really. But imagine if it was. Another thing these stories do, particularly the sentient-house variety, is tease out one of the grand themes of modern architecture. As employed by figures such as Sullivan and Wright, the notion of organicism could express a building’s connection to its physical site and social context, the relations of its parts to one another, the correspondence between form and function. 24 Many modern architects directly compared their buildings to living organisms. Louis Kahn famously asked what the building “wants to be,” but few architects have pushed this biological analogy so far as to imagine that a building could really be alive and willful. A building may be like an organism — the architect might even call it one — but we all know, the architect included, that it isn’t, not really (synthetic biology, biofilm building materials, and green roofs aside). Poe, Jackson and Siddons, however, take us across this threshold to a place where buildings are not just alive, but aware and willful — like us, but not quite. Built on bad ground or bad foundations, literal or figurative, the houses of their stories are like psychoanalytic subjects whose dark, submerged dream worlds have surfaced and taken over, wreaking havoc all around. We all know well that buildings can be dangerous — carriers of infection, planned or unintentional instruments of death. Think of sick-building syndrome, structural failure, execution chambers, concentration camps. But the harm that results from these places ultimately comes down to human will, neglect, or error. The buildings are just cold bricks and mortar. They do not want to hurt us. They do not want anything. But imagine if they did. Imagine that a building really did have will, that it wanted to be something, and that what it wanted was to be bad. Now that would be scary. In Philip Kerr’s novel The Grid (New York: Warner Books, 1995; first published in England as Gridiron), virtually all functions in a high-tech corporate building in Los Angeles — from reception and maintenance to weather forecasts and occupant drug screenings to toilets, elevators, communications and environmental systems — are controlled by a super computer named Abraham. Abraham also has the ability to learn, adapt, and replicate, and thus things quickly turn ugly. Edgar Allen Poe, “The Fall of the House of Usher,” in Philip Van Doren Stern, ed., The Portable Poe (New York: Penguin Books, 1977), 245, 247, 257. Shirley Jackson, The Haunting of Hill House (New York: Penguin Books, 1984), 3. Finalist for the National Book Award in 1959, the book “is now widely regarded as the greatest haunted-house story ever written.” See John J. Miller, “Chilling Fiction…,” The Wall Street Journal, 29 Oct. 2009, accessed 15 Oct. 2013. Jackson, The Haunting of Hill House, 5. The book has been called an allegory of the oppression of women by the patriarchy and by myths of domesticity, a comment on the instability of the modern American family, and a representation of the nightmarish reality that can accompany pursuit of the American Dream. See: Dale Bailey, American Nightmares: The Haunted House Formula in American Popular Fiction (Bowling Green OH: Bowling Green State University Popular Press, 1999), 43; Joe Nazare, “Haunting Anniversary: A Half Century of Hill House,” The Internet Review of Science Fiction, Feb. 2010, accessed 15 Oct. 2013; and Darryl Hattenhauer, Shirley Jackson’s American Gothic (Albany: State University of New York Press, 2003). Jackson, The Haunting of Hill House, 70. Susan Scarf Merrill, “Shirley Jackson Doesn’t Have a House,” Writers’ Houses, 10 Aug. 2010, accessed 15 Oct. 2013. Jackson, The Haunting of Hill House, 34, 40, 106-107. The actual building is Ettington Park. Located near Stratford-on-Avon, in Warwickshire, England, its origins go back to the Norman conquest and possibly the Roman occupation. It has been rebuilt several times, most recently in 1858 by architect John Prichard, a close follower of A.W.N. Pugin. Today it is known as one of Britain’s most haunted hotels. See: “The History of Ettington Park and the Shirley Family,” and “Is Stratford-Upon-Avon Hotel Britain’s Most Haunted?,” Birmingham Mail, 5 Sept. 2011, both accessed 15 Oct. 2013. Sarah Burns, “Better for Haunts: Victorian Houses and the Modern Imagination,” American Art 26:3 (Fall 2012): 17, 27. The sealed rooms of fiction relate to the real-life practice of decanting. In architectural terms, this involves the sealing off of rooms or portions of rooms or entire floors even for purposes of renovation or economic gain. “In Bonn, for example, the second and third floor rooms of high-street buildings are commonly abandoned. The rental rates of different floors are so disproportionate that entire upper levels are valued less than the footprint of the stair at the ground. The stairs are thus often removed, and the spaces above abandoned. Joshua Comaroff and Ong Ker-Shing, Horror in Architecture (ORO Editions, 2013), 103. Bailey, American Nightmares, 8; Burns, “Better for Haunts,” 19. Anne Rivers Siddons, The House Next Door (New York: Harper Paperbacks, 1978), 14, 24. Ibid., pp. 34, 82, 143, 149, 301. Anthony Vidler, The Architectural Uncanny (Cambridge: MIT Press, 1992), 7, 63-64. See also Mark Edmundson, Nightmare on Main Street: Angels, Sadomasochism, and the Culture of Gothic (Cambridge: Harvard Univ. Press, 1997), 114-117. Siddons, The House Next Door, 319-320. According to Spyros Papapetros, “The basic presupposition that the early twentieth century has bequeathed to us is that we are living in a ‘hostile external world,’ that any relation of human subjects to external objects — including buildings — can be only in terms of mastery or destruction (which ultimately proves mutual). See his On the Animation of the Inorganic: Art, Architecture, and the Extension of Life (Chicago: Univ. of Chicago Press, 2012), 259. This is indeed the case in both Jackson’s and Siddons’s books. Colquitt and Walter destroy Kim’s house, and die in the process; as Eleanor observes, “Hill House would stay as it was until it was destroyed,” (p. 35), but in the end it is Eleanor who dies, while Hill House remains. Siddons, The House Next Door, 325. In 2006 the book was made into a Lifetime Channel movie starring Lara Flynn Boyle. I was unable to see this before this article was published. Frederick Gutheim, ed., Frank Lloyd Wright, On Architecture (New York: Grosset and Dunlap, 1941), 190. Bailey, American Nightmares, 114. 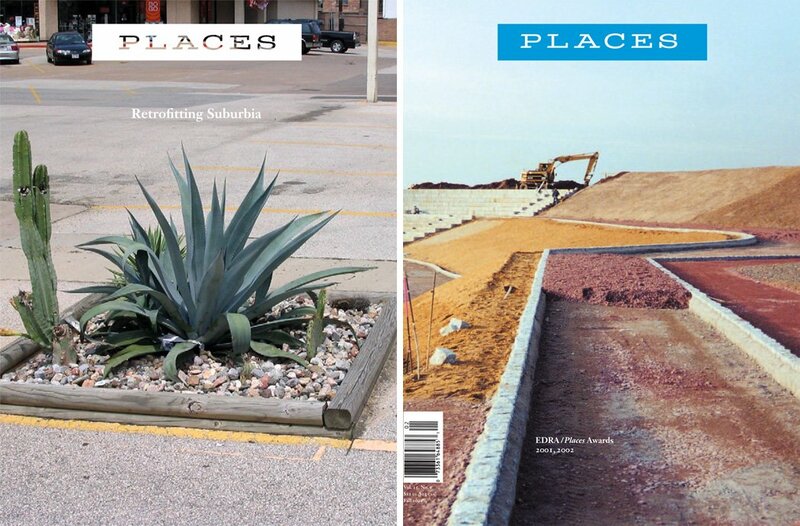 On haunting and race, see also Aviva Briefel and Sianne Ngai, “’How much did you pay for this place?’ Fear, Entitlement, and Urban Space in Bernard Rose’s The Candyman,” in Alain Silver and James Ursini, eds., The Horror Film Reader (New York: Limelight Editions, 2000), 280-303. For a provocative take on suburbia and its dangers, see Kim Ian Michasiw, “Some Stations of the Suburban Gothic,” in Robert K. Martin and Eric Savoy, eds., American Gothic: New Interventions in a National Narrative (Iowa City: Univ. of Iowa Press, 1998), 237-257. On architectural organicism and other biological analogies see Philip Steadman, The Evolution of Designs: Biological Analogy in Architecture and the Applied Arts (London: Routledge, 2008, revised edition). See also Neil Harris’s remarkable Building Lives: Constructing Rites and Passages (New Haven: Yale Univ. Press, 1999). An architect recollects the aesthetic frustration and unexpected epiphany of his first project: the gravesite of the wife of a Texas oil millionaire. What a thoughtful and entertaining take on haunted houses... one can learn more from them than I had thought! I also appreciate the brief mention of execution chambers -- places where human will has gone bad, even if the architecture is not alive. Readers can do something to stop these buildings that kill: sign the petition asking AIA to prohibit the design of execution chambers and supermax prisons - www.tinyurl.com/aiaethics. Well, thanks, now everytime my house makes a screatch noise or when I hear something, I can't help but think my house is plotting something against me.